You don’t have to have a license to kill to be a fan of the epic James Bond movies, and we’ve been watching them since we were probably too young to watch such things. Anyone who finds themselves in need of a little James Bond action, or knows someone who is, can pick each and every movie up for just a couple of dollars apiece right now, with the whole box set selling for less than $70. That’s a lot of movies for not a lot of money, and we’re not talking DVDs here, either. Amazon is offering Blu-rays of every single James Bond movie for the minuscule price of $67.97. 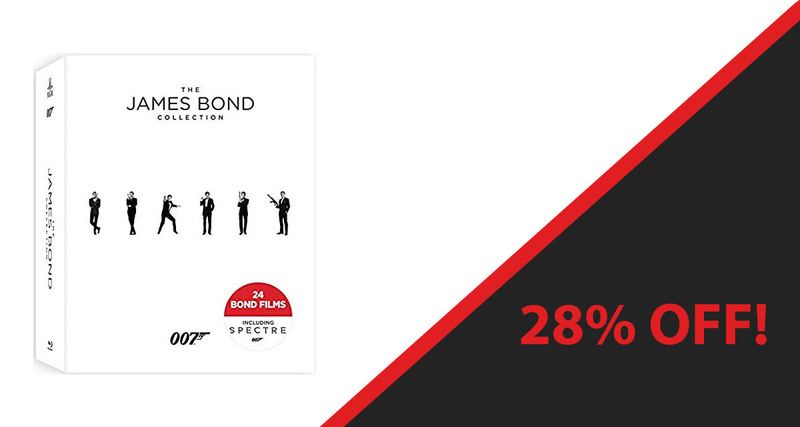 Whether your favorite James Bond is Sean Connery, Timothy Dalton, or even Pierce Brosnan, there’s plenty of movie time to sink your teeth into right here and we think you’re in for a real bargain. The only downside we can see is that this is purely a disc-only deal, so there are no digital versions to be had. That’s a small issue considering the deal you’re getting though, and we absolutely wouldn’t let it put us off picking up a real bargain. If you order now you’re not going to get this before Christmas, so keep that in mind when you’re planning your order. In fact, this box set is currently out of stock, with stock not expected to arrive until just after Christmas. Still, when everything does arrive, you’ll have some great movies to watch!